Use a Deck Cleaner or a Stain Stripper prior to using a Deck Brightener. Make sure all dirt, grime, an old stain residue is rinsed from the deck after the cleaning/stripping. Apply the Deck Brightener as soon as the cleaning is done. Best to apply while wood is still wet. Let the brightener sit for 10-15 minutes. Rinse wood thoroughly when done. Heavy washing or scrubbing is not needed. I have a small (relatively) area of my deck I forgot to brighten before staining, and the color doesn’t match the rest of the deck. Was rushed for time, just forgot and now kicking myself. Anything I can do to get it to match outside of stripping it completely and starting over? It has been done with the Light Walnut color, RAD products, and was thinking when I do another coat next year or in 2, I might go to the Dark Walnut color. Would that equalize the color or not? The only way to fix now is to strip and start over. Hard to say if adding another darker coat will fix that or not. It would be easy to strip and redo it though in 2 years. There were three rotten boards in that area that I am letting season until late next Spring, so maybe stripping/brightening/staining at that time is the best option for that area? You could do this in Spring/Summer of next year. can i just pressure wash our deck and then apply a brightener with applying a cleaner? This is prep prior to a stain. thanks. No. Use the cleaner while pressure washing and then brightener after. I just cleaned and brightened my redwood deck using Superdeck Cleaner (not stripper) and Brightener (1 part solution to 3 parts water). There are still a few black spots on the deck. (see Spot pictures). Do I need to go over these spots with undiluted cleaner and then brighten again? Also I have a pergola over the deck (see picture). I find it impossible to clean and then brighten the entire pergola in short time. I was planning to clean and brighten the 2x2s from the top in sections and then clean and brighten the support area from the bottom after that. I know I will drip cleaner and brightener on the support area as I do the top. Is this an issue? I do plan to cover the deck area while I do this and clean and brighten it later. Will stain the deck using TWP-100 Redwood once I get some good weather. 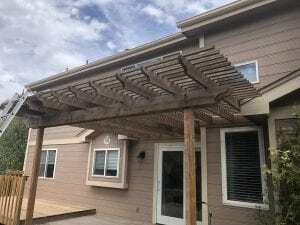 Finish the pergola, no need to tarp. Redo the deck when done. Make sure to brighten all well. Thanks for the quick response. Can you give me advice on the Black Spots? Looks like you missed applying the brightener correctly there. After using the Restore a Deck stripper and brightener, how long should I wait to apply the TWP 1500? I had a new redwood deck installed and after 10 days I applied Sherwin-Williams Super Deck Transparent Natural oil-based product. Looked like a million bucks. About one year later the deck has turned almost black. I have been told I should have waited for the redwood to “cure” about 2-3 months before applying the sealer. It may have trapped mold? I live in the Sacramento, CA area with lots of heat in the summer. Suggestions? Cleaner and brightener? Best to switch brands by stripping and brightening down to the bare wood. Try the TWP 1500. Thank you, especially for the review of the Sherwin-Williams product. Is there a time of year that is best to tackle this? Doesn’t matter as long as the temps are above 55-60 when you are doing the work. We just installed a new redwood fence. One side is rough sawn and the other side is smooth. From what I understand, the rough sawn wood does not need to be prepped before staining so do I just prep the smooth side with the cleaner and brightener before staining? Yes but you need to let the new wood season for a few months first. I am a trustee for my HOA. 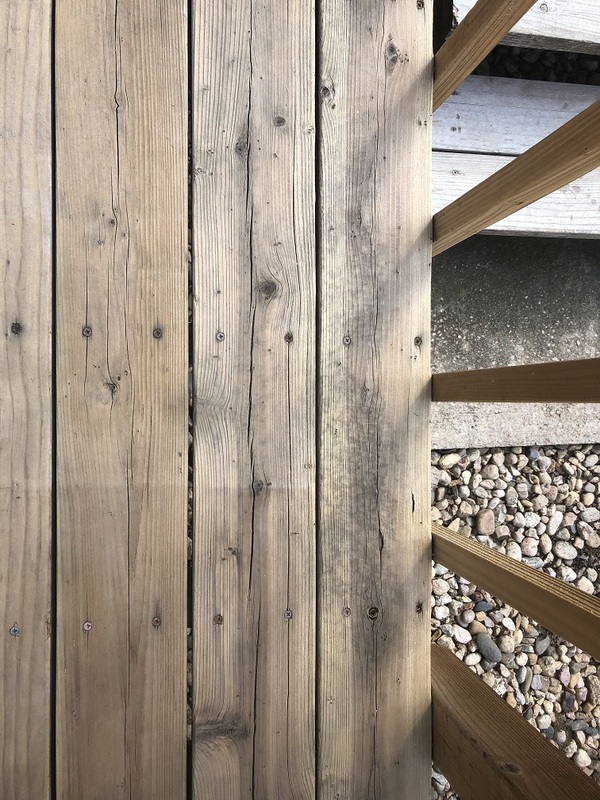 We have a resident who previously stained their deck 5+ years ago with a very dark color semi-transparent stain (or perhaps a semi-solid stain). Unsure if the stain used was water-based or oil-based. The color is not within our HOA guidelines. No, you will need to sand off the old coating to get it down to bare wood. Over the last two years I tried two different ready seal stain products. Both failed due to lack of mildew control and would absorb dirt and grime into the wood that would not wash off. I’ve now cleaned the deck with some tsp/bleach and the old stain came right off. I then did a sanding to make sure the wood was uniform. It now looks pristine like new cedar wood. I’ve read the thread but can’t find others who used the same cleaning method. Is a brightener still necessary after using tsp/bleach and then sanding? Yes it will help to open the wood grain so the stain can soak in better. are deck posts treated different than the decking boards when prepping and staining a new deck? We have a deck with composite flooring and spindles, but wood railings which we are restraining from tan to white. Do I need to brighten the wood before even if just staining the rails? No need when using a solid stain. I have a pressure treated pine set of stairs that I built almost a year ago. I am planning on using a deck cleaner and then staining with a solid stain (Olympic Elite). Do i still need to use a brightener with the solid stain? I am stripping an entire deck including the vertical rails and stairs. It is too much to get the stripper on every surface all at one time and be able to get the brightener on right away. Should I strip and brighten all the horizontal surfaces first then do the vertical surfaces? Is it best to get all the surfaces stripped and brightened in stages and wait to stain everything all at one time? Strip all before brightening. You can strip areas in sections first. I just finished stripping my deck yesterday and am wondering when best to do the deck brightening? I am not planning on staining for another 3 – 4 weeks. Is it better to do the brightening now, or just before staining? You are supposed to brighten right after the stripping to neutralize the stripper. Also 3-4 weeks is too long. You should stain within 2 weeks of the prep. You may need to lightly wash the deck if you wait 3-4 weeks. If we are going to stain our deck with a dark color, is it still necessary to use a deck brightener? Yes you need to brighten after using a cleaner or a stain stripper. Thank goodness I have sponged cleaned mold off wainscoting on the porch roof with Oxi Clean and now want to add a preservative to reseal it, prevent mold growth, and also to deter carpenter bees from drilling. If I apply a wood brighter, can I sponge rinse it. I do not want water from a hose to get behind the wainscoting in the porch roof? A brightener is not needed here. I stripped the old TWP 1500 stain off of my deck a week ago using Restore-a-Deck stripper, deck brush and garden hose (didn’t have a pressure washer). Didn’t brighten, as I didn’t have enough product on hand for the job. It will be several weeks before I can get back to my deck work. Can I apply the TWP stain without brightening? Will I have to clean the deck before staining due to the length of time between stripping and staining? I’m running out of good weather here in the Northwest and concerned I may end up having to leave my old wood deck unprotected for the winter (which may be better than doing a rush job). Your recommendations? You should lightly clean and brighten if several weeks or next Spring. Better overall appearance. Are you confident it won’t just further accentuate the differences in color? Used to be a great stain until Cabot sold to Valspar and they changed the formula. I have some leftover mixed RAD brightener. How long can I keep this before it loses it’s brightening-ness? I beleive it does not go bad unless it freezes. I stripped and brightened old and newer deck wood. I noticed two things. There are some areas on the newer wood that have little lighter colored spots on it. As if something was splattered. Do you know what causes this? Also, not all old stain came off, mostly on pergola, which was difficult to do. 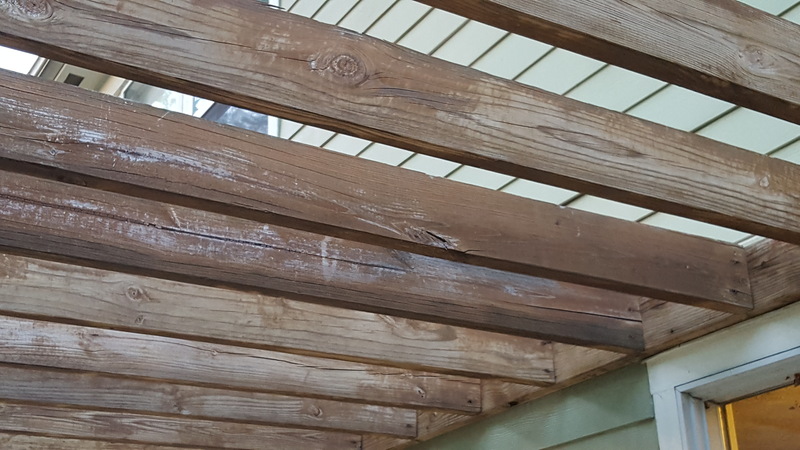 Should I retry stripping and brightening or accept that the pergola is probably not going to have all stain removed? If i do restrip, how is the best way to get it done effectively? Initial strip applied with deck brush and scrubbed. Post a picture or two please. Restrip the pergola and brighten. Clean and brighten the floor of the new deck last. Any suggestions for application of stripper to the pergola so it has minimal run off? Used RAD last time,should I use the same product? The Rad should remove this. Saturate well and pressure wash off. I have a cedar deck. 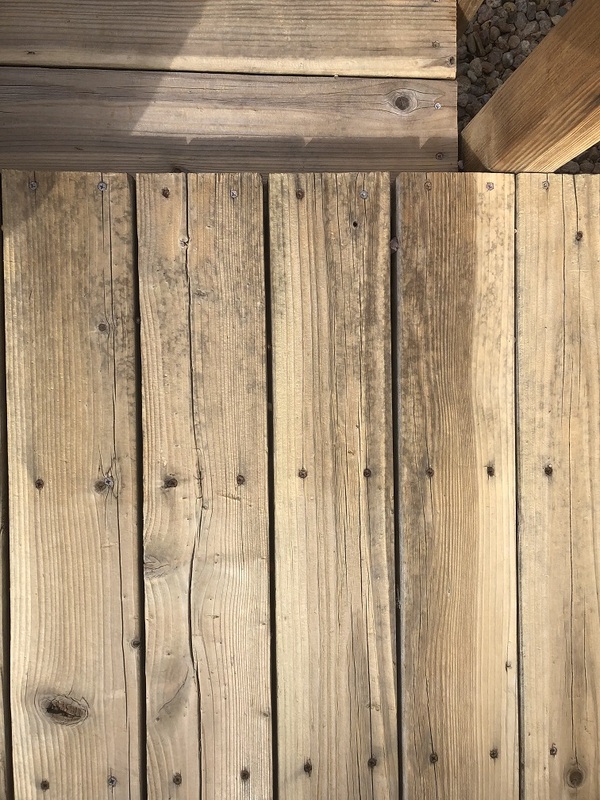 Is it possible to just brighten the deck every few years to remove the grey look and NOT stain it? A wood brightener does not remove the gray. You can use both a cleaner and a wood brightener in order to remove the gray. It will gray in a matter of months, not years if not stained. You can but it will gray and not be protected from water, mold, algae, etc. My cedar deck is about 5 months old. Should I apply brightener now before I stain? also will the brightener damage my white PVC pillar bases? One more question. Is the TWP stains translucent and does it have a sealer as well? You have to clean and brighten for the prep, not just brighten. It should not harm the PVC. TWP is an all-inclusive product. Does not need a sealer in addition. Are there major differences between the 3 brightener you review here? Is ine better than the other? Cost and overall effectivenes with be the RAD Brightener. What is the longest after rinsing deck brightener that the stain can be applied? Is waiting a week too long? 1-2 weeks should be okay. I stripped the deck over the past 5 weeks, the last chunk of decking was stripped about 2 weeks ago. Wood brightener had not been applied. The deck isn't as dark as it was several weeks ago. We've had several rainfalls in the past 5 weeks. Since it's been 2-5 weeks, I'm not sure if I should use a wood cleaner and brightener before staining, use wood brightener only, or just go ahead and stain. Any recommendations would be appreciated. Thank you! 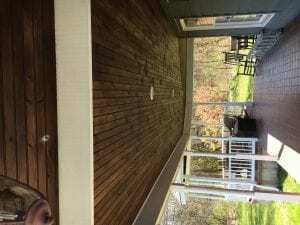 We would lightly clean and then brighten since the deck was stripped over a 5 week period. I have a 950 sq ft pine deck which I washed with Olympic Deck Cleaner (chlorine based). I also power washed it and applied too much pressure so I have a TON of fuzzies. Rain was also in the forecast and life got busy. Now its been about 4-5 weeks since I washed it with that chlorine cleaner and it def has some dirt from my dogs going in the backyard. After reading a few of these threads I'm going to go get a floor buffer to get rid of the fuzzies. I'm unsure as to whether I need to brighten since the deck doesn't look very dark. Also, do I really need to wash again (then brighten) or could I just buff the fuzzies off and scrub with basic soapy water/push broom and stain after 2 days of drying? I have 3-4 days of sunshine with no rain in the forecast for once. Thanks! Buff with sanding pad and then lightly rinse to remove and dust. Wait a few days to stain after. I have a 1 year old cedar deck. Applied sikkens srd last fall and it's already blackened, looks awful. I used a natural cedar colour. What can I do to bring my deck back to looking good? Prep by stripping and brightening the wood. Stain with TWP after removing the Sikkens. 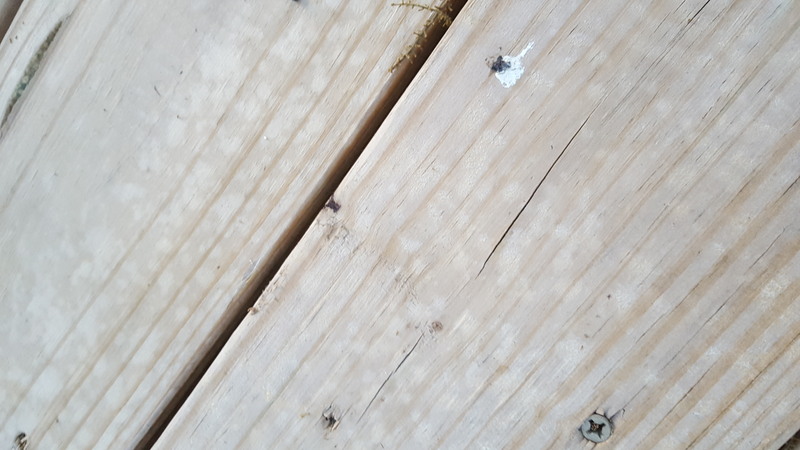 It is most likely old stain on the deck. You need to use a stain stripper again and pressure wash off. Brighten the wood when done. You cannot mask or cover the darkspots when reapplying a semi-trans stain. Will restore a deck brightener damage composite board? What is the minimum amount of time I must wait after brightening and rinsing off the brightener, before I can stain? Depends on the stain brand but 48 hours is normal. 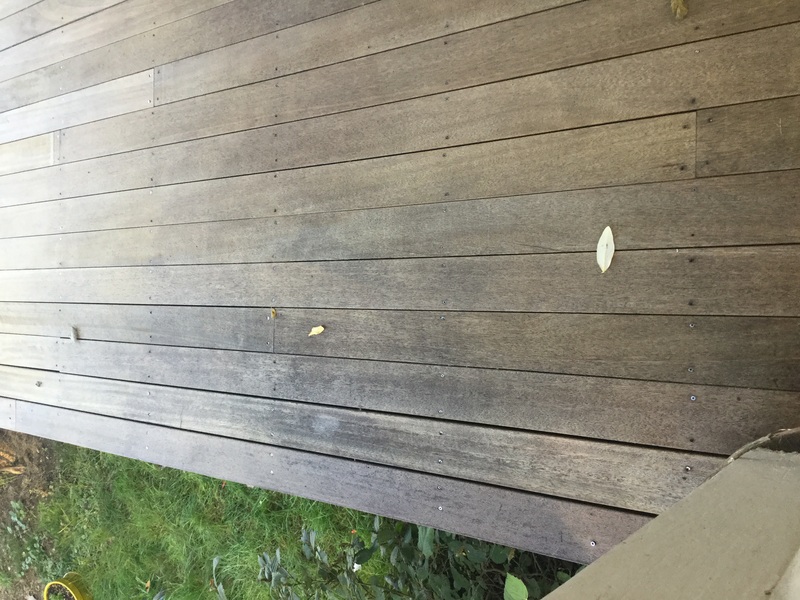 i applied RAD stripper to a redwood deck that is 30+ yrs old,scrubbing then rinsing with a hose. The boards turned black or got darker as I applied the stripper, which I gather is suppose to happen. I applied the brightener as directed and it lightened the wood in some places but other places the wood remained dark and or black. When the boards dried they are a tannish color with some dark/black ares. Will this affect the stain? Should I reapply the brightener? I sanded the boards prior to stripping to remove a solid wood stain. It appears most of the black areas are around the knots where I applied more pressure while sanding. Could this have an affect? It is probably tannin or even rust stains. Try to apply a wood brightener again at a higher concentration. Apply it and do not rinse off. Let it dry into the wood. You may have also \”burned\” the wood with the sander. This will not come out. Have sanded the deck. Should we use brighten before staining? Need to use both a cleaner and wood brightener after sanding to remove dust and open grain for the stain to absorb better. I have a very hard Brazillian hard wood deck. I sanded with 20 grit paper and didn't get far so I then used a strong stripper and a metal scraper and then re sanded with 20 grit again. It is now back to its natural color. It looks like new wood. I want to leave the natural color and just seal it with a clear sealer and am not sure what product to use. I live near Sacramento, Ca. what would you suggest? No clear sealer will protect against UV rays and graying. Need tint in the stain and that will change/enhance the natural color of the grain. Look at IPE Oil or Defy Hardwood stain. CLorox seems to brighten my pine nicely . . . also some oak boards . . . is this ok to just get the grey out? Although CLorox is a hi -(non-acidic) ph will it do the job? Chlorox is bleach and that is not the best cleaning solution for wood as it can damage the wood\’s cell structure. Bleach is a base, not an acid. I have a 3 month old PT deck that I'm ready to stain with TWP100. The deck has had minimal traffic on it. 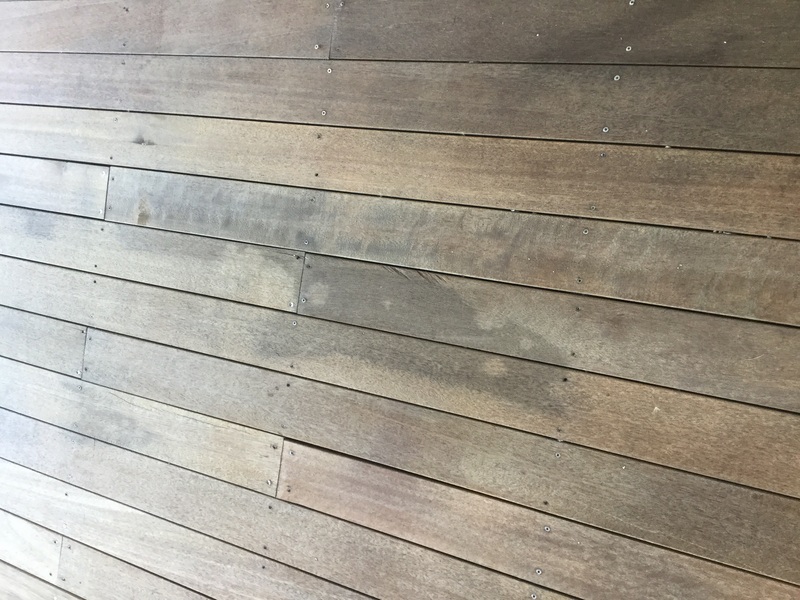 Do I need to go through the cleaning/brightening process prior to staining? Also, I have a moisture meter. What is the threshold for "dry"? Josh, yes you need to prep newer wood correctly before applying the TWP. I'm going to use the Wolman Deck-Bite to clean, but are there any brighteners at the big box stores, BM or SW worth using? Josh, any brightener brand should be okay. Is it ok to brighten the deck today with rain in the forecast tomorrow as long as we let it dry for 2 days prior to staining? Used the Gemini cleaner/brightener on one yr. old cedar deck. Took the gray right off – used a garden hose with sprayer and LOTS of water to clean the gray sloughing off. However the cedar is quite knotty in places and there are a good amount of 'fuzzies' left around them. Do we need to sand this off? Or is there another way to clean this fluff off properly? Need some ideas quick – deck is ready to stain otherwise! Mike Mc, the fuzzies is due to removing the heavily oxidized (gray) wood cells. The more gray you have the more fuzzies you will get. Try lightly sanding with 60 grit and rinse the deck with water to remove sand dust when done. The other way to remove fuzzies is to pressure wash the deck with straight water. My deck is almost 30 years old. had use a clear Olympic oil wood protector until 3 years ago and used a semitransparent stain as I was told would protect better with the pigments. I just got through stripping with RAD stripper, power washing and then RAD brightener. I now have a lot of black areas but not dry yet either . If they do not go away what next. Did not have black areas before. What happens if I just go ahead and apply the TWP stain 1530 natural. I am assuming as dry it will lighten some? Dee, black areas? Might want to brighten again. It could be rust from the nails or screws. A week or two will be okay. Is it ok to use my left over product of Benjamin Moore restore or brightener and neutralizer and then apply the TWP product? Karen, I am not familiar with any of the BM prepping products so I am not 100% sure. A long as the wood is clean and free of any other deck coatings, you should be okay to apply the TWP. I have 15 yo cedar deck that was never protected before. 3 years ago I power washed (TSP an bleach) and stained with Cabot Wood Toner Weather Grey. In no time the deck got very moldy and looks black (I live on waterfront so high humidity). This year I washed again with TSP and Oxygen bleach. 80-90% of the old grey wood toner is removed, only a little bit remain in the deep grooves. There are parts where the wood gets fuzzy and parts where the wood is smooth. I applied with a brush a thin layer of a sample TWP 1500 series Cedar (I am in low VOC states: Maryland Seaboard) . The new stain does not get absorbed into the wood at all – in neither the smooth nor the fuzzy parts, even after a good 3-4days of drying. The stain also did not dry off either and needed to be wiped off. I called TWP dealer and they suggested Armstrong Clark and also to use the wood brightener first. 1. 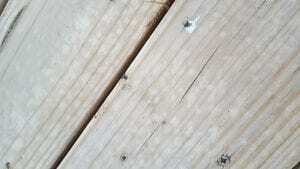 Does oxalic acid really open up wood pores? my issue is absorption into the wood not stains in the wood. It has now been over 2 weeks since I finished cleaning – will the brightener still work if I use it now? 2. Someone suggested sanding to open the pores. Should I do both and in what order? sand then brightener or brightener then sand? 3. Is Armstrong Clark a more penetrating stain then the TWP 1500 series? Or is it the wood treatment that I need to work on? What is the best course of action now? 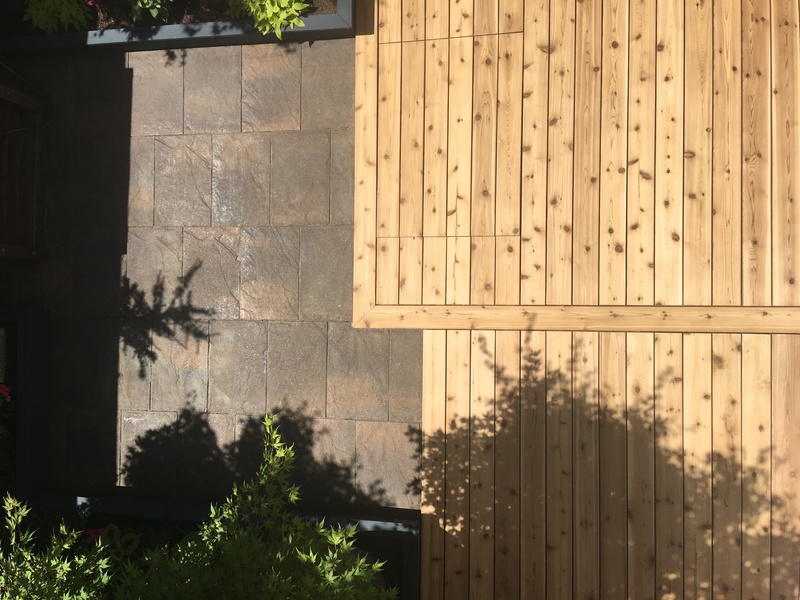 I have a large area to cover ( >1000sqft flat surface, not counting the steps and the many many spindles) – so the simplest, least time consuming procedure would be most appreciated. Nhu, if the TWP does not penetrate then there is something hindering this. Not sure if the Cabot is still there or not causing this issue. Oxalic will not fix this. 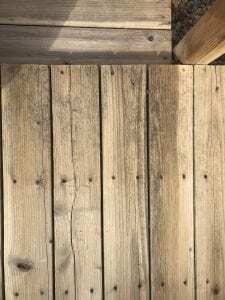 You may need to sand the entire deck then clean and brighten the wood when done. IF the TWP did not absorb then the AC will have a hard time as well. I removed Flood hardwood semi transparent stain. I had used this product for four years, but this year I got bad discoloration from areas where the stain had worn off. So I decided to start over and change the look. The black areas aren't old stains. They're clearly from the stripper. They're in the shape of where I applied it heavier or more times. Now that the deck is dry, they aren't as apparent, but I'm concerned that they will show through when I apply the Messmer clear stain. Mike, strippers will darken the wood. Using a brightener will reverse this. I just stripped my deck with RAD stripper and now the black color is not coming off everywhere. I put the stripper on heavy and let it sit for about an hour to remove 4 years worth of semi-transparent stain from a Garapa deck. I want to re-stain with a clear oil based stain (Messmers). I've applied the RAD brightener twice, but still have black tinited areas. What can I do now? Should I hit it again with brightener? Mike, the brightener does not brighten black or old stains. You would need to strip more or sand it off. What stain brand are you trying to remove? Is it ok to use a brightener the day after cleaning my deck? I don't have time to do it all in one day. Best to do it as soon as possible the neutralize the cleaner or stripper. I used baking soda to clean my redwood deck a year ago with good results. Now I want to restain after my power wash can I use the neutralizing effect of the baking soda to prep before staining & will it slightly brighten the wood? Baking soda does not brighten wood. You need a mild acid or wood brightener for this. I stained my deck with a stain that turned out too dark-(way different than the sample we tried) – its much different than expected and we hate it. It is dark Cinder in color– Is there a way to lighten it, or must I strip and sand this stain to change the color to a more brown coffee color? I was hoping to try to add a second coat of a brown tone but was told I could not stain over stain? please advise. Bill, you need to strip it off and start over. No way to lighten a color. I have a white (Eastern) cedar deck that is 1 year old has begun to fade (go grey) and I'd like to stain or use an oil preservative to maintain the natural colour. I understand that I'll need a wood brightener but will I need to use a cleaner first? David, you need both a wood cleaner and a wood brightener to prep. Does new redwood have to be brightened before using a transparent oil based sealer/stain? Jules9, yes it should be cleaned and brightened. What is the best way to wash a deck and clean it? I am not prepping it to restain. For dirt removal I would just try water.